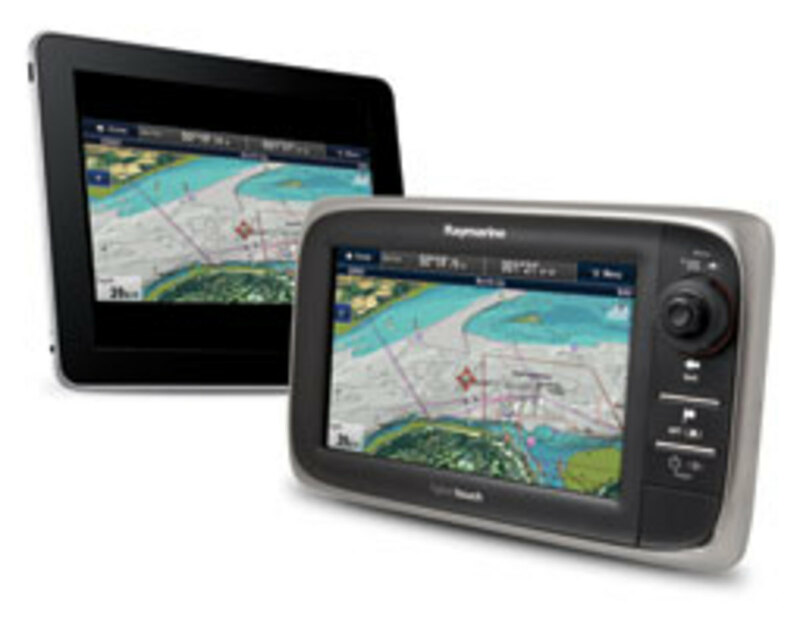 If you’re a worrywart, Raymarine’s e7 series multifunction displays might appeal to you. The e7’s Wi-Fi connectivity allows live video streaming to an iPad, iPhone or iPod Touch. 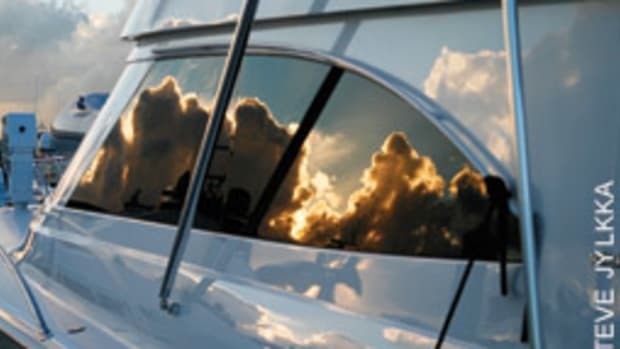 You can see the e7 display — thermal video, navigation charts, radar, and sonar — on your mobile iOS device anywhere on board.So go ahead and make sure the bilge is bone-dry and the boat is not on a collision course with a tanker — and do it stretched out in your berth. 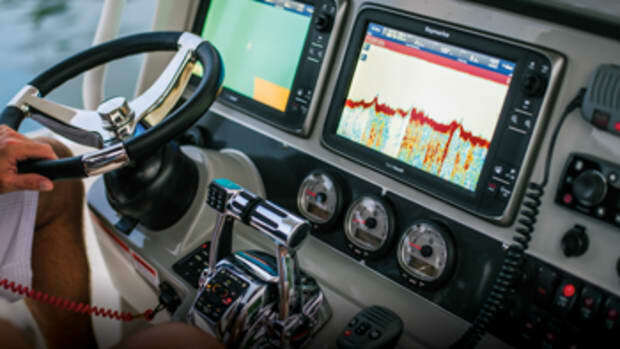 Anglers can even monitor the fishfinder with an iPhone while fishing on the foredeck or other spot where the helm display can’t be seen. 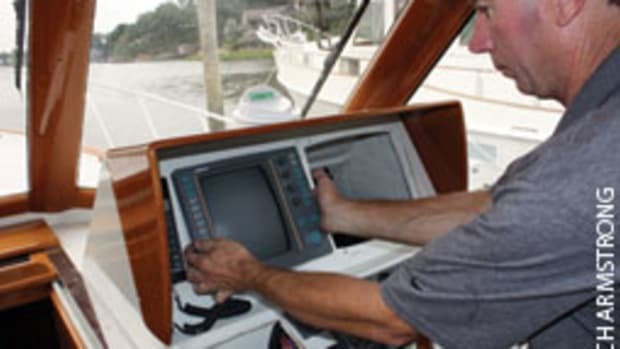 This kind of integration technology led to Raymarine capturing the top prize in the electronics category of the Innovation Awards at last fall’s International BoatBuilders’ Exhibition & Conference known as IBEX. 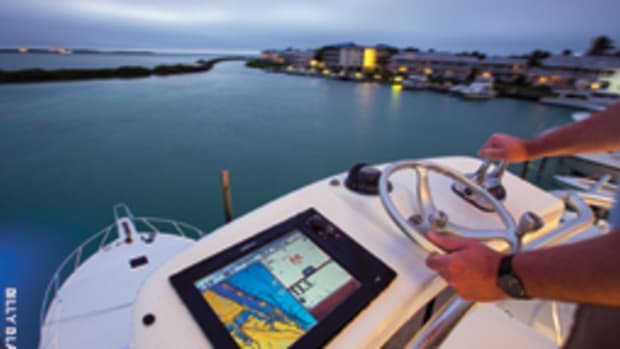 The e7 is the “heart of the Raymarine electronics system,” says Andrew C. Teich, president of FLIR Commercial Vision Systems, which owns Raymarine. It integrates an array of features, from touch-screen technology and Wi-Fi connectivity to Apple iOS and Bluetooth capability, he says. 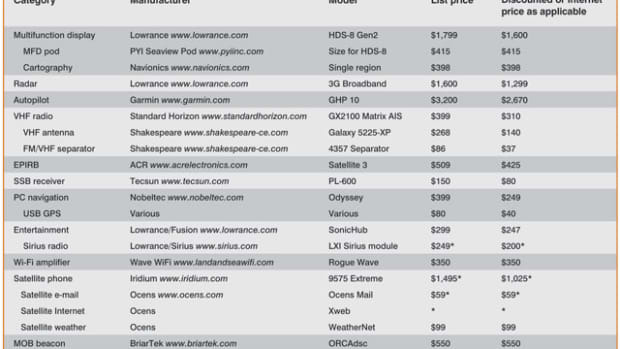 “And it has a great suite of radar, sonar and GPS and autopilot functions all built into the unit,” he says. The e7’s Bluetooth connectivity lets boaters control and reconfigure the e7 with the optional RCU-3 wheel-mounted or handheld remote control. The RCU-3 remote also can be used to control the audio playback on an iPad, iPhone or iPod remotely so that these devices can be stowed safely out of the elements. 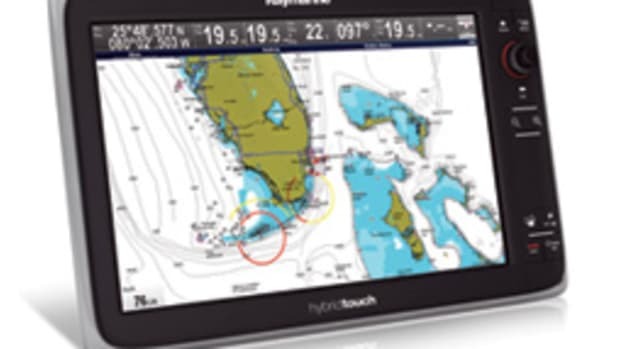 “Mobile computing has changed our everyday lives with anywhere access to information, and now the e7 lets boaters access charts, sonar, radar and thermal night vision from anywhere on board,” says Jim Jones, director of Southeastern sales for Raymarine. 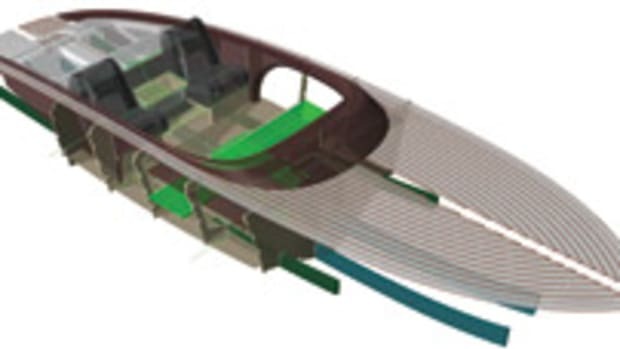 The e7 system also can work with AIS and high-definition digital sonar.